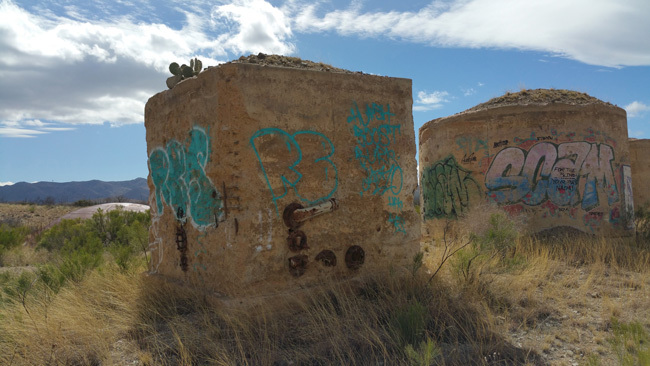 Dozens of decommissioned Cold War era ICBM missile silos exist across the country, but very few are accessible these days. 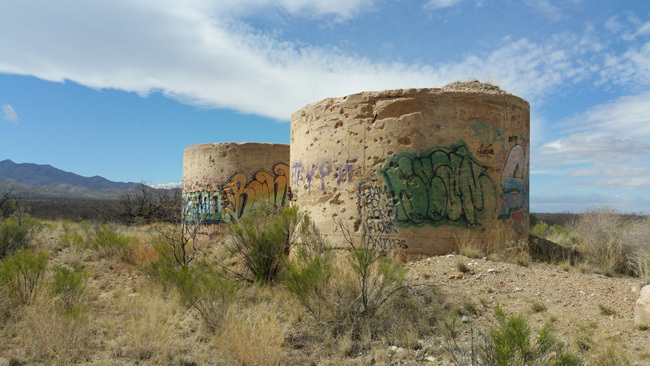 Several days and a few hundred miles from my ultimate destination, a Titan missile silo complex in Colorado still open for exploration, I had a raging case of ICBM fever. 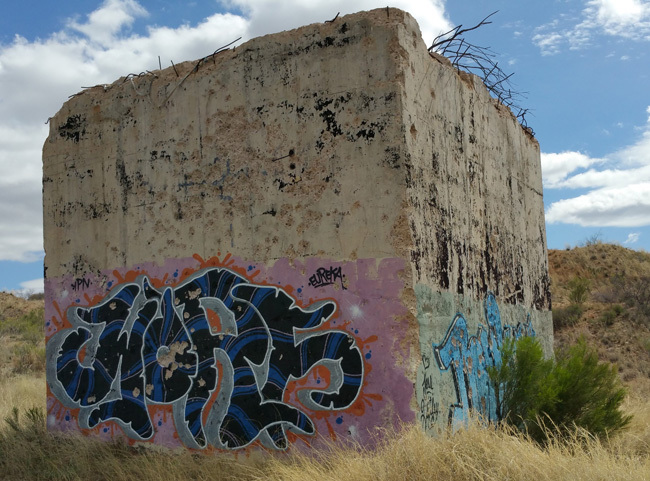 Hoping for temporary relief, I stopped to check out a partially unearthed Titan II in Southeastern Arizona. The morning after my ride into Tucson, I enjoyed a hearty breakfast at Mother Hubbard’s Cafe. The waitress seemed to be having a rough morning, so I tried to brighten her day by being extra polite and smiling a lot. I must have given her the wrong impression because as I was leaving she slipped me her number. It happened so fast that I didn't get a chance to tell her that I'm already spoken for and that I'm not into women. I sure did appreciate the compliment though. Hopefully she wasn't too heartbroken when I never called. I navigated a series of rural highways until I reached a little dirt road out in the middle of nowhere. 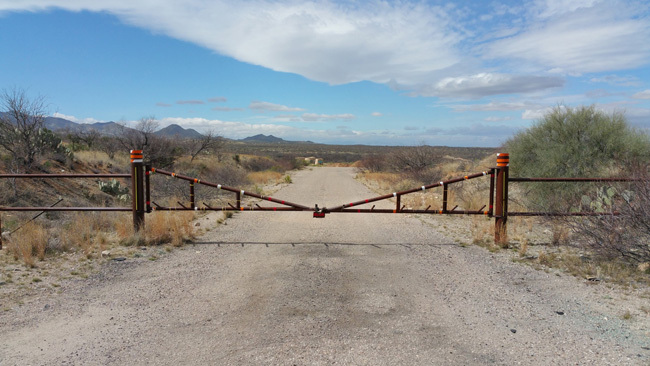 There was a simple gate of two thick metal bars to keep vehicles out, but no signs warning away trespassers. 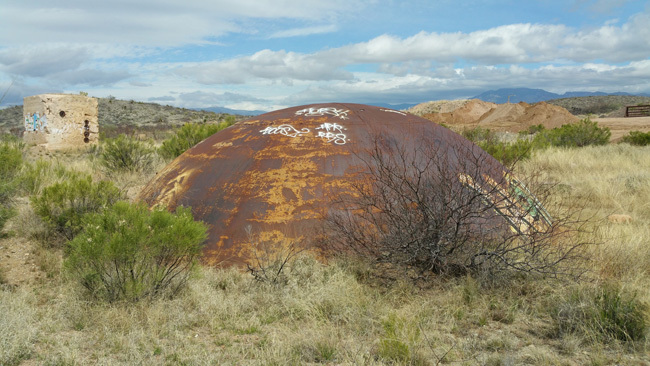 and a rusting metal dome. 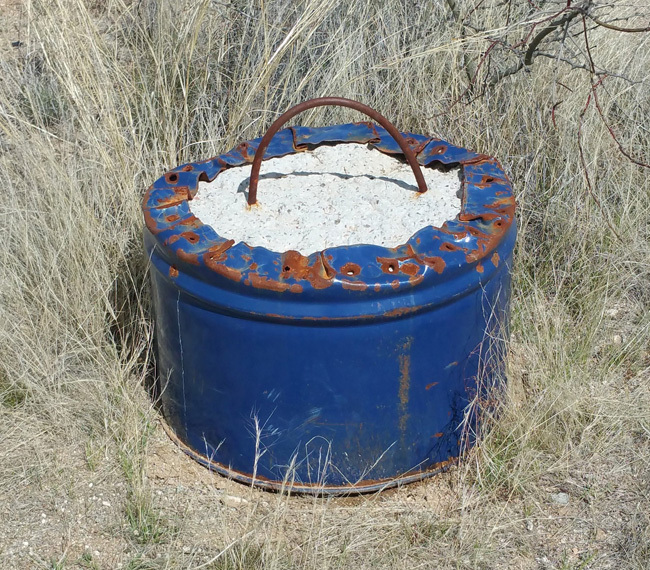 I climbed onto one of the cylinders, hoping there might be a way into the subterranean complex, and wasn't too surprised to find that the hatches had all been sealed. 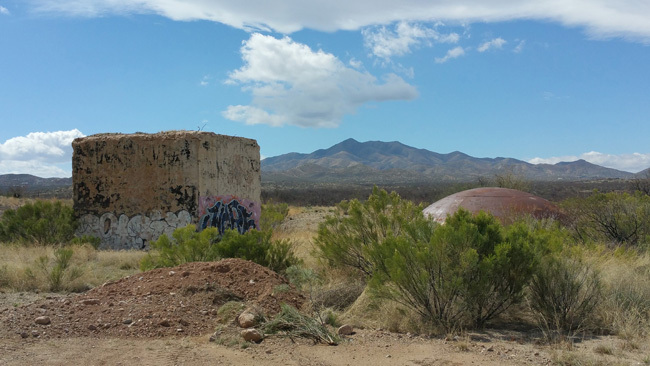 During the height of the Cold War, Arizona's Davis-Monthan Air Force Base was home to 18 Titan II nuclear ICBMs. The three-phase construction began in 1960 and was completed in 1963 after one million man-days of labor were spent on the project. In October 1981, President Reagan announced that all Titan II systems would be decommissioned as part of a modernization program. During Operation Rivet Cap in 1983, the ICBMs at Davis-Monthan AFB were removed from their silos and shipped to Norton AFB in California to be dismantled. I had finished taking pictures and was about to head back to my car, when a white police pickup truck pulled up. The cop, a guy of retirement age with a grown-out crew cut, was quite friendly. I told him I was there to take a few pictures and didn't realize I was on private property. He said that people often steal the no trespassing signs, which is why none were posted. 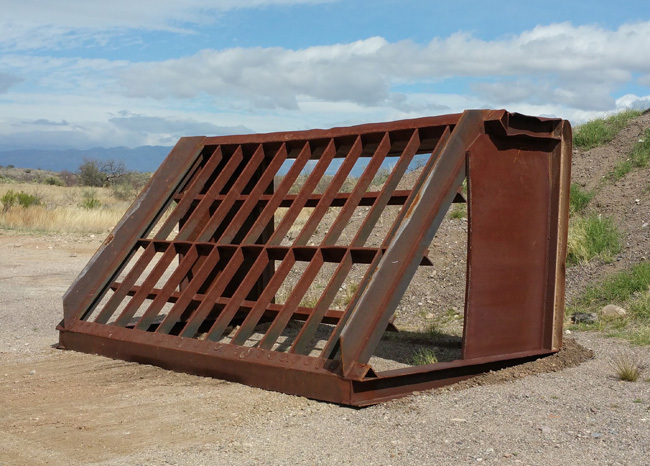 We talked for a while and he told me he’d like to own a missile silo, but they’re ridiculously expensive because they’ve become collectors’ items. 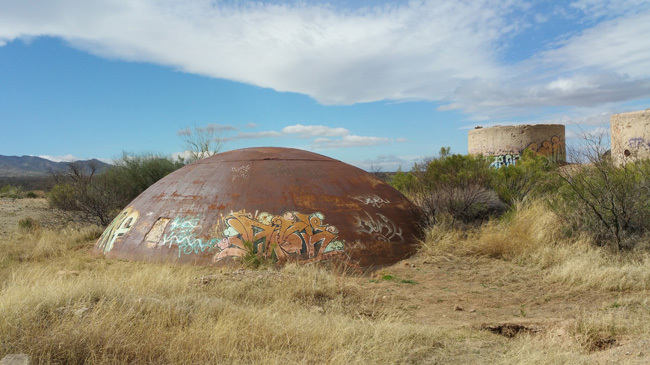 He said I should check out the Titan Missile Museum in Sahuarita, Arizona. I was tempted to check it out, but didn't have enough time if I wanted to be in New Mexico by the day's end. Next stop: a creepy miniature golf course outside Willcox, AZ. Dude, Mother Hubbard's is awesome! 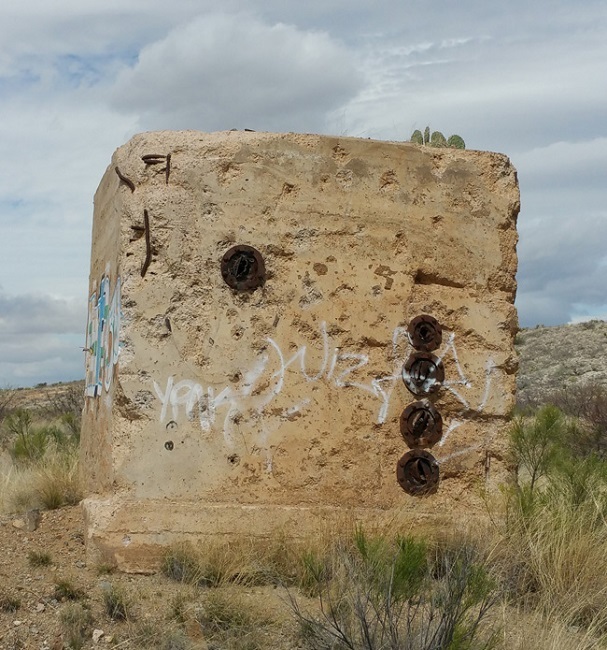 Do you know of any missile silos that you *can* get into? I agree about Mother Hubbard's. Very good breakfast. I do know of a Titan missile silo that is accessible. It was my absolute favorite place I explored on this road trip. I'll be posting about it in a few weeks. Can't wait to read about that trip! On another note, how do you find the places you explore? I'm interested in the exploration of abandoned places but I have trouble finding them around where I'm from. I do tons of research online to find abandoned places to explore. It takes a long time because most explorers will not divulge the locations, so I have to search for clues. Other times I look at Google Earth to find places that look abandoned. It's a great method if you want to check out locations that no one else has been to. I've found some amazing places that way. And sometimes I'm fortunate enough to stumble upon abandoned places purely by chance. 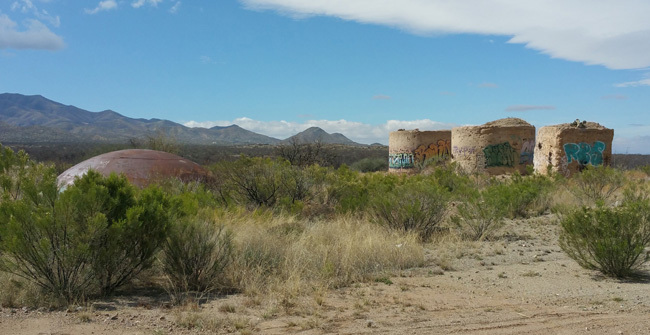 I grew up in Tucson Az while these silos were active. 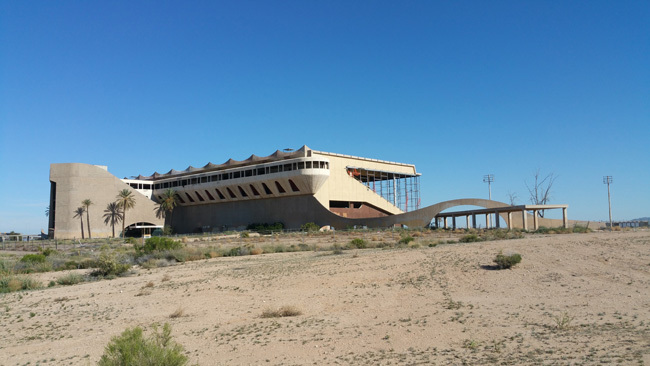 I lived near the one that was turned into a museum outside of Sahuarita (Green Valley). I love exploring old sites. But time, work and vehicular range prevent me from doing so except once of twice a year at best. I truly envy your cross country trip to it! I need to check out the museum some day. I didn't even realize I'd passed two other missile sites. Thanks for letting me know. It's too bad they're all sealed up. It sure would be fascinating to see inside. Thanks so much for sharing. So many great shots on the slideshow. The other article was particularly interesting because I've always thought it would be neat to own a silo and turn it into a home. I wonder what it would be like to open the ones that have been sealed for so many years. I'm putting together a PowerPoint presentation about the Titan II missile program, prompted by my recent visit to the museum in Green Valley. I'd like to include a few of your images showing how the sites look today, if that is OK with you. Please reply to me at dzaitlin@gmail.com. 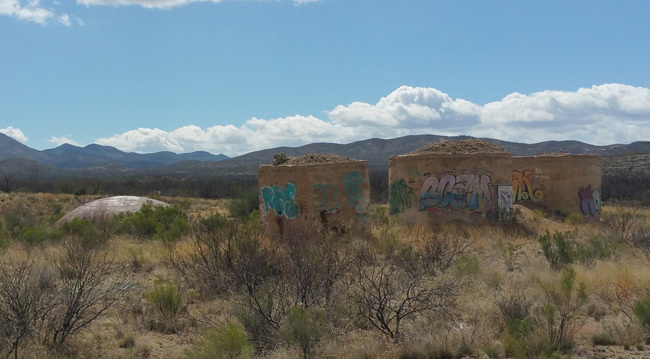 BTW, I grew up in Tucson, and remember seeing a missile section being moved north on the Oracle highway when I was a kid sometime in the 1960s. Also, I work with a guy here at UK who was stationed at Davis-Monathan AFB in the 1970s, and he was on the Titan II maintenance crew. The big steel dome that you climbed upon is the Launch Control capsule. 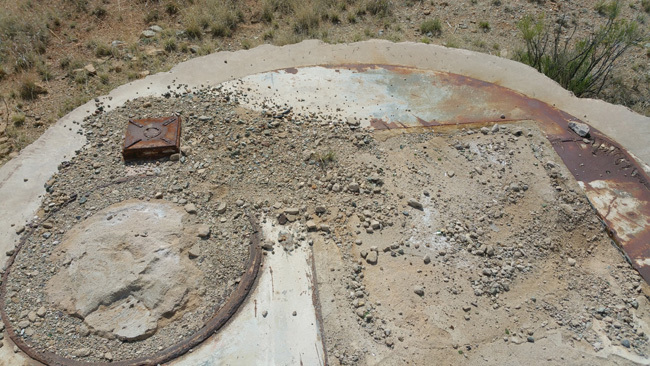 The entrances to the launch sites were filled with dirt and concrete to try and make them as inaccessible as possible. The owners of some of the properties, as you found, have tried to open the sites up, and some have succeeded in doing so. You were lucky not to injure yourself, as these sites are full of hazards. When the sites were decommissioned, the government hired conractors come come in and remove and slavage enverything of value that the USAF had not already removed when the site was decomissioned. The Titan II Museum is a fscinating place to visit. It is an intact Titan II complex that you can tour from top to bottom. At the time the Titan II was active it was one of the most feared weapons in the world. It managed to keep to peace for 25 years or more. If I had the money. Which I don't. I would purchase it that silo & renovate that whole thing. <---But by the time I say what I said at first. It will be sought for, bought and sold. tx_red. I don't think so. They were filled with concrete. They were filled with dirt, cement trash. By blowing off the top. I heard this from a guy on Youtube.com. 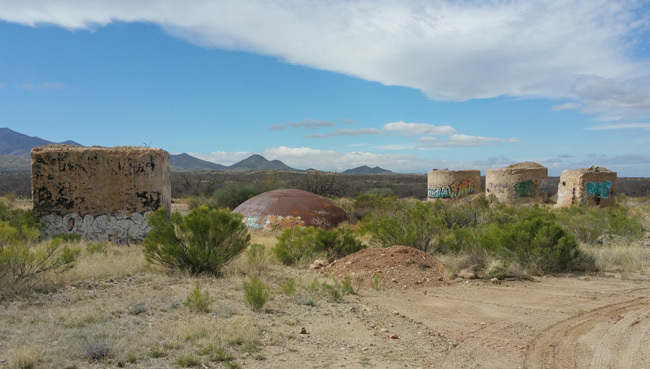 Who bought a Titan II missile silo. Just search for How to choose, find and buy a nuclear missile silo. California is doing great in their military activities. Recently I had payed a visit to their active air force bases in California. THey are so disciplined and punctual. People should try to adopt their rules and regulations.